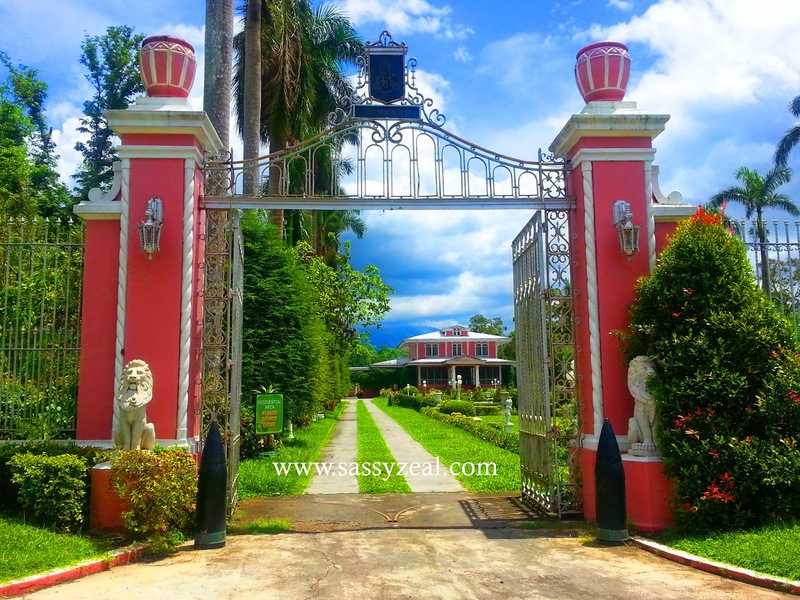 Villa Escudero is an 800 hectares coconut plantation which is privately owned by Escudero clan. The founder is Don Placido Escudero. It was originally a sugar can plantation and was converted to coconut plantation by the founder’s son Don Arceno. By 1981, Don Arceno’s children opened Villa Escudero to the public as a resort showcasing the Philippines rich cultural heritage, history, custom, dress and cuisine and lifestyle. He said that Villa Escudero have approximately 500 employees, most of them are living inside Villa Escudero. When Villa Escudero started, there were seven pioneering families who were working for the Escudero. They have been provided by 300 square meter each family for their home lot. And oh, I was so amazed! Until now, the following generations of the families are still living and working in Villa Escudero. We saw houses with gardens within the Villa, they have been told to make the best garden for their houses and award will be given. By this tour, It feels like I was in a movie of Haciendero/ Haceiendera story where there is a huge property, hundreds of workers and wide open privately owned nature! Well, this is real! So real! But then, what amazed me the most is the generosity of Escudero clan. The over flowing glory that they have is being shared to the people of San Pablo Laguna and Tiaong Quezon. These are the things that touched my heart. 1. Having a very OWN lot for your home means a real hard work. We need to sweat blood and spend years working to buy one. But then the workers of Villa Escudero were given their OWN 300 sq. m. lot (though im not sure if ALL of them). Given the fact that they are working for Villa Escudero. (We’ll then, even I work for my company for decades, they won’t give me a literal lot. Yeah, but I can buy one out of my earnings, lol). 2. Can you imagine how big the Villa Escudero is? So how many employees does it need for the maintenance, management and operation? In any spot of the Villa, we can find staffs assisting us at every point just to maintain the best accommodation they are giving to the guests. The Karaoke operator, the carabao drivers, the package counter staffs, receptionist, walking tour guide inside the museum, guards, cultural dancers, restaurant staffs and many many more.. And so, just imagine how many jobs it opened for the people within the vicinity? 500 jobs are fair plenteous enough for a rural community. 3. One of the clear evident of Escudero’s generosity is the stunning pink museum (sometimes mistaken to be a church) Preserving the history and the treasures of the Philippines culture. The cost of every tiny little memorabilia in the museum up to the largest and most valuable treasure of those great images. The price of the centennial value and how it was preserve and retrieved. The treasure of the remnants of its story to tell to the future. Escudero spent a lot for this.